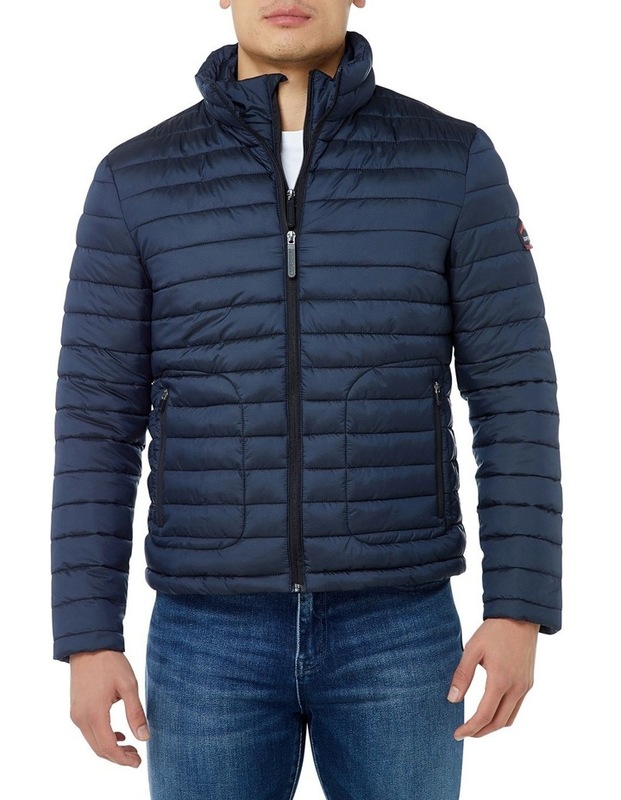 Superdry mens Fuji double zip jacket. 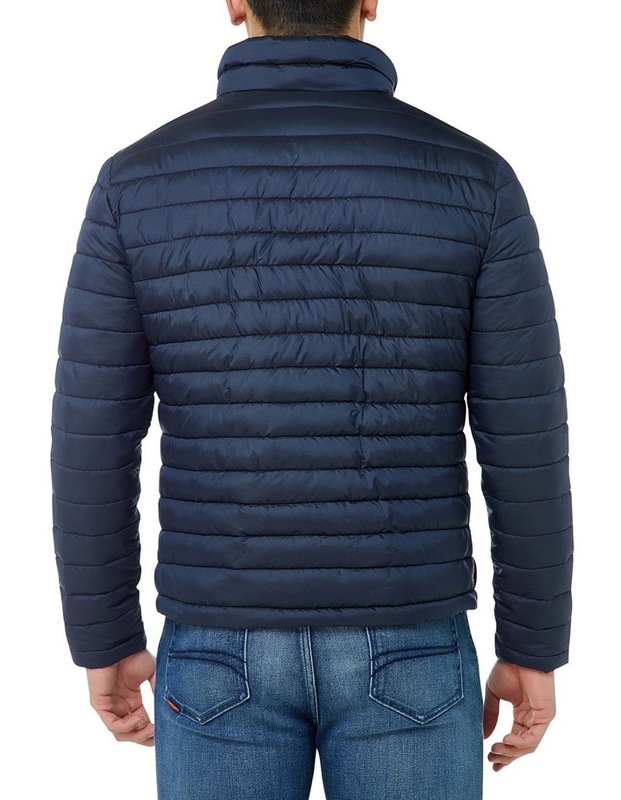 This quilted jacket features a double collar and zip fastening, two front zip fastened pockets and one internal pocket. The Fuji double zip jacket is completed with a rubber Superdry mountain logo badge on the sleeve. This is the perfect item for any wardrobe.